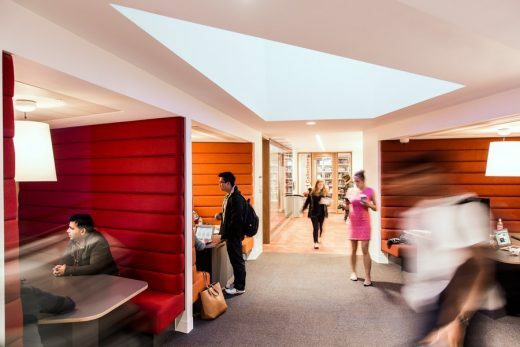 The Cruciform Hub, one of a number of new student hubs across UCL’s Bloomsbury campus, is now open. Designed by leading architecture practice Burwell Deakins Architects, the new facility provides dedicated, open access social and collaborative learning areas, as well as a variety of student and academically orientated spaces from quiet study to project group areas; together with a computer cluster, a suite of teaching / seminar rooms and a reconfigured medical school library. 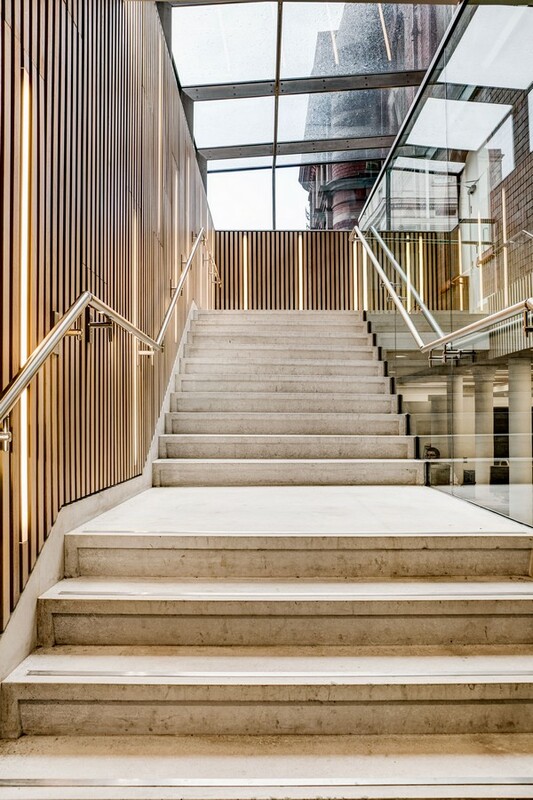 Originally designed as a hospital block by Alfred Waterhouse in 1905, the Grade II listed Cruciform Building accommodates teaching facilities for UCL’s Medical School. Following feedback from over 1,000 UCL students to Burwell Deakins’ mock-ups of prototype collaborative study furniture, the project reconfigures a large part of the lower ground floor, to open up the space and improve connectivity, orientation and space utilisation. 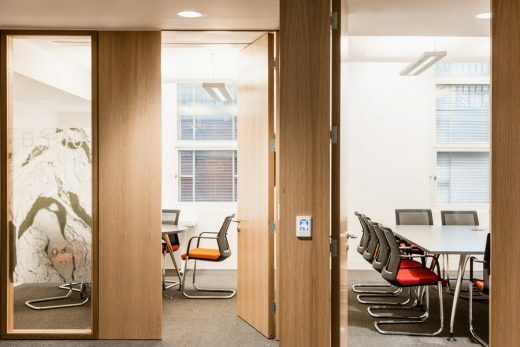 Key to the scheme is the resolution of legacy issues, such as a lost staircase and entrance, Victorian masonry structure and blocked up windows. 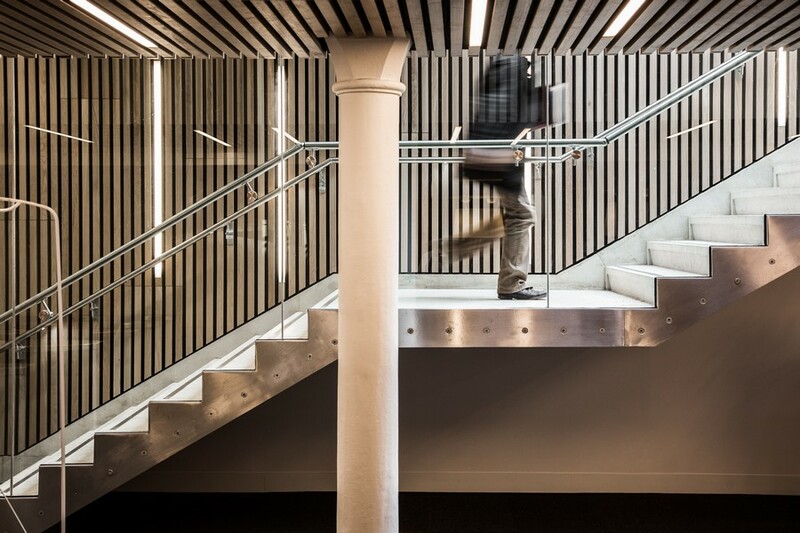 The Cruciform footprint of the upper building was retained and utilised to inform the layout and provide perfect homes for the key programs within the brief. 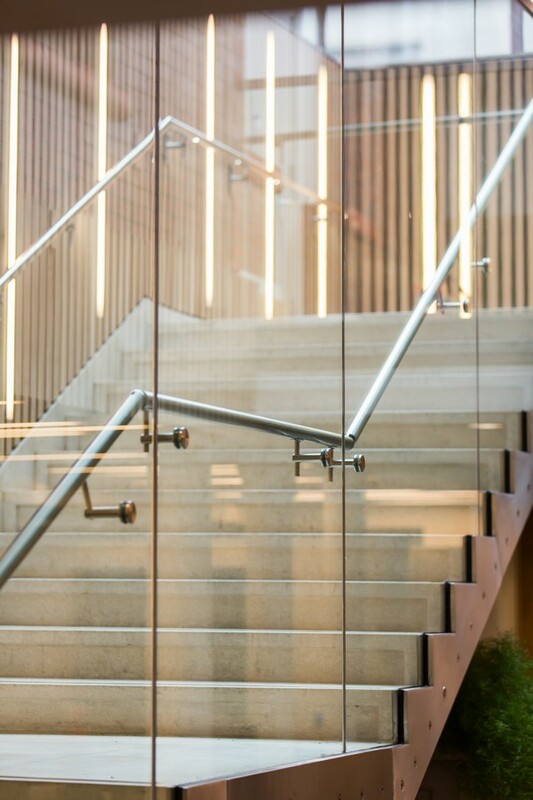 A new staircase link enclosed within a stainless steel framed structurally glazed box, provides direct access from the ground floor entrance hall, and allows natural light to filter down into lower ground floor spaces. Light further penetrates the space through newly opened up windows and a number of roof light inserts, which offer framed views from lower ground floor level up at the building’s iconic gothic façade. 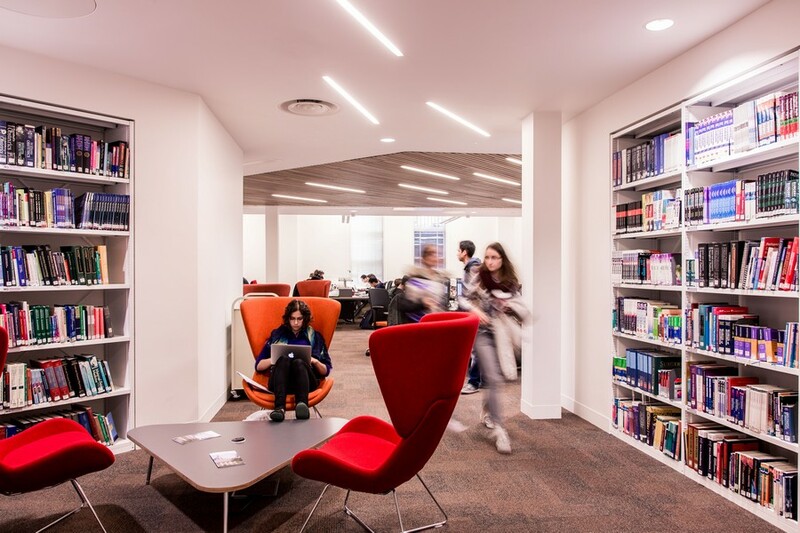 Located adjacent to the main entrance, open plan working areas feature multiple AV equipped group study modules that have been designed to further encourage collaboration in educational and cultural life, promoting the transfer of knowledge through both formal and informal learning environments. 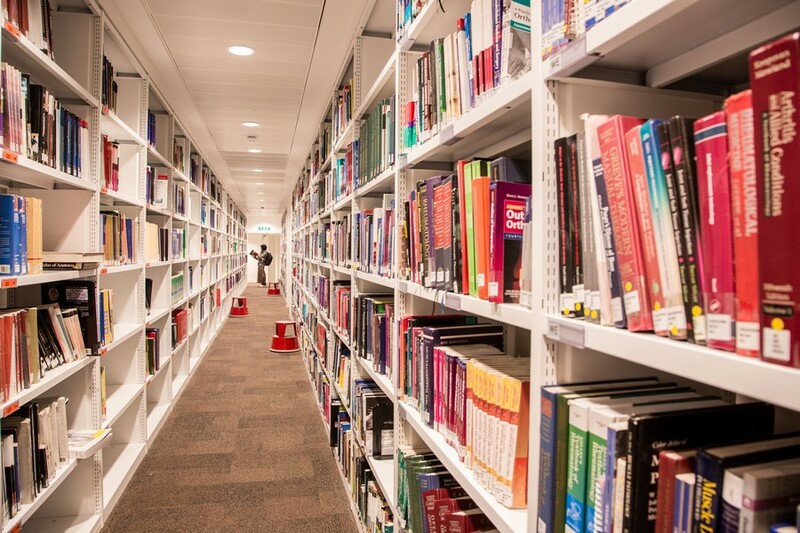 The original library access corridor has been converted into a new loans collection area with an almost infinity vista. 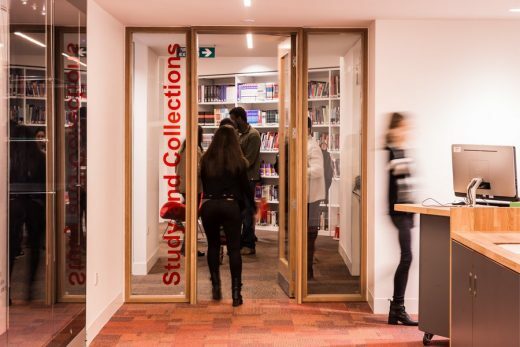 Glass exhibition cabinets are used as spatial dividers and provide animated visual interest both through the display of medical objects and movement of users as they circulate through the spaces. 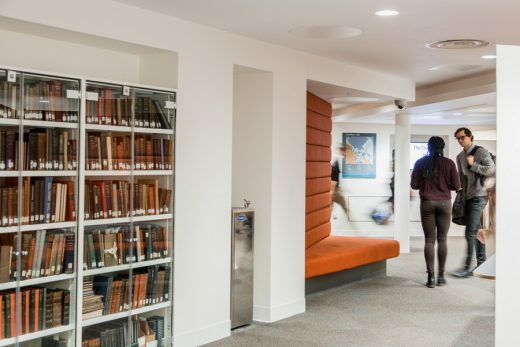 Designed by Burwell Deakins Architects, the library study desks, with carefully considered leg locations can accommodate increased numbers to provide more space to study during periods of peak demand prior to exams. The computer cluster has multiple projectors together with bespoke desks derived from molecular structures, and caters for both formal teaching and group learning. 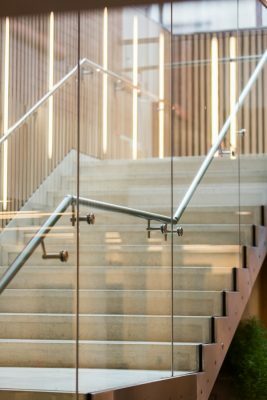 Polished concrete surfaces, oak linings and bespoke joinery and furniture, create a rich palette of finishes and colours which complement the existing building fabric, as well as creating a contemporary environment conducive to learning. “The Cruciform Hub is an exciting development for UCL. 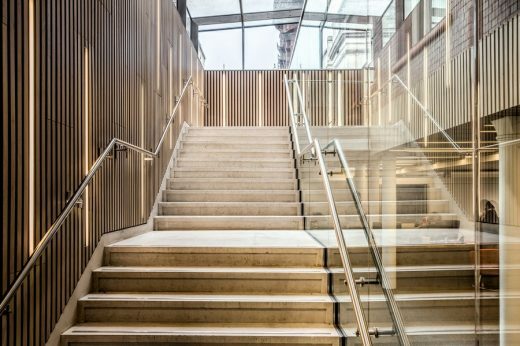 As one of the early steps in UCL’s Masterplan, it sets the benchmark for new learning spaces across campus. The variety of learning environments reflects the needs of our diverse user community. 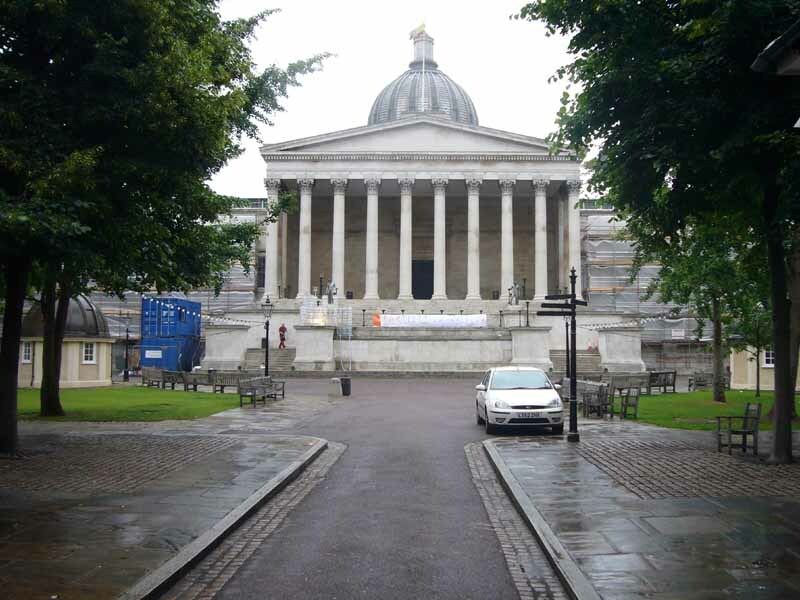 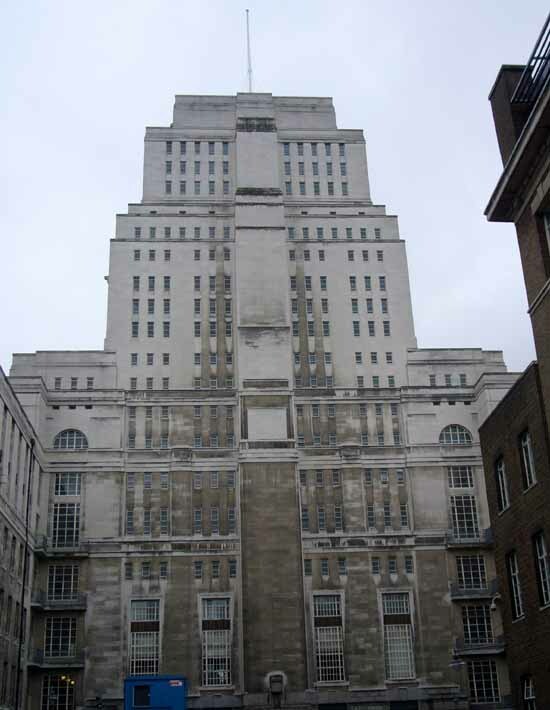 Facilities and services are tailored to UCL biomedical students and staff and within easy reach of NHS staff. 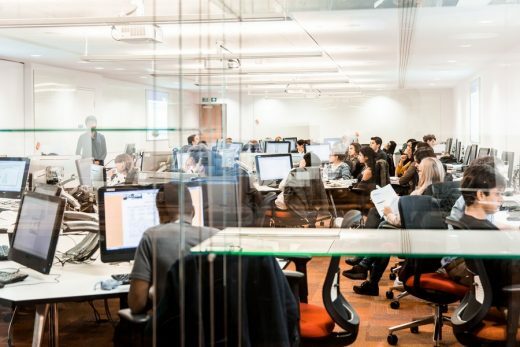 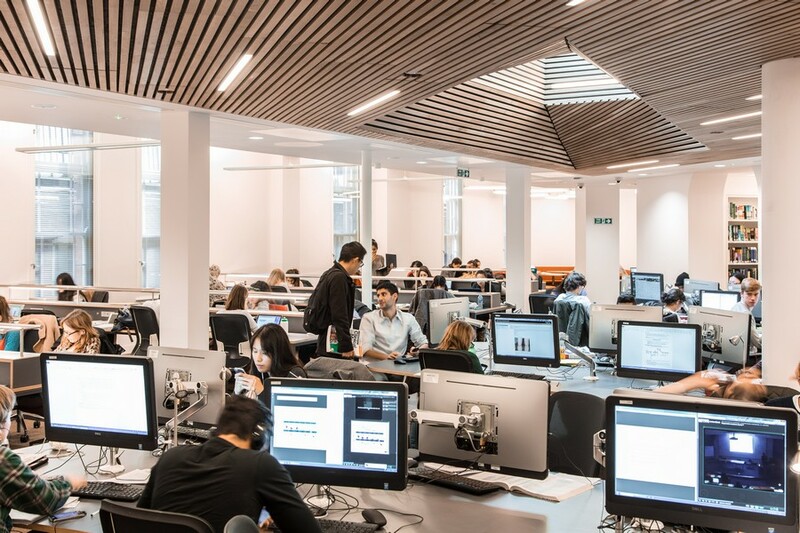 The Hub opens up 24-hour access to a range of teaching and learning spaces, UCL’s world-class print and digital collections and a wide range of library and IT services. 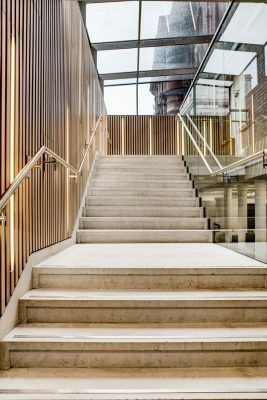 Burwell Deakins’ design combines cutting-edge research images with exhibits on the history of medicine, showcasing UCL’s leading place in research-based biomedical education.